Anna (pronounced Ah-nuh) shares, on her photo blog, bits and pieces of her life here in Indianapolis. She frequently takes her followers to local eateries and on bike rides. She has a knack for framing the ordinary and making it interesting. Her photos have a lovely, soft style, and she makes pretty much any food on the table look delicious. I've had the honor of meeting Anna in real life--once at a Thai restaurant in Fountain Square, and once at a Christmas party--and the food at both was amazing. To top things off, Anna has Kongcat, who is possibly the most amiable black cat I've ever encountered. Alissa is yet another Purdue student! Her lifestyle blog reflects the "crazy world" she, her high-school sweetheart, and their sweet little toddler, Harper, encounter each day. Alissa is a student and freelance writer, but despite her busy days, she stays positive. One of my favorite posts was titled "It's OK Thursday," which was a fill-in-the-blank session with statements such as "It's OK that I eat my weight in Somoas in one sitting" and "It's OK that I still check my closets for crazies every night before I go to bed." Violet is also a resident of the Indianapolis area. I first "met" her over a year ago. Her blog is a melee of beautiful photography, and I would love for her to shoot my own wedding. Violet is, in fact, a full-time photographer, and she always shares her work, whether it be wedding, modeling, family portrait, or pet portrait (most of which are of her own pup, Marshmallow). She also features digital photography tutorials and the occasional DIY. If you're especially interested in pastels, Blythe dolls, or Peter Pan collars, I would recommend visiting Violet's site. After my mom, my brother, Hans, my cat, her cat, "The Lumberjack," and the cluster of mold growing in my back pantry, Zoë is probably my favorite being. Though she has taken to posting quite infrequently on her Tumblr, I know her to be one of the most intelligent people I've ever met. She's the mother hen, the worrier, the giver of excellent hugs. Half of our ludicrous conversations revolve around cats or "The Birdcage." Or business ideas--as wedding planners, as professional care package senders, as managers of a kitten circus. However, Zoë is naturally rational as well, and so her posts (on Tumblr, Facebook, or Twitter) often address politics, current events, and the betterment of society. Hands down, Jessica has got to be the most connected person in all of Indiana. Her project, Little Indiana, shows off the state's small towns. She travels--mostly out of her own pocket--to discover local eateries and neighborhood quirks. She also appears on PBS' "The Weekly Special" to talk about the project and her latest finds. If you ever travel around the state, I suggest browsing about Little Indiana for restaurants, shopping, campgrounds, and entertainment. In addition to showing off the side of the state that isn't filled with cornfields, Jessica also interviews other Hoosier bloggers. She's featured quite a few, if you'd like to discover even more. Katie is a "small town girl from the cornfields of Indiana." Our mutual blogging friend Arielle introduced us, and I've enjoyed visiting Katie's blog since then. Lately, she's been incredibly honest on her site--earnestly and heartbreakingly so. Her words spun themselves into my soul, and so I go back, wanting to learn more about her, about her past. Katie is also an avid reader, especially of fantasy tales like "Alice in Wonderland" and "Harry Potter." I've also picked up a few good songs from visiting her blog, on which she shares various musicians. Furthermore, Katie shares the little things--the small things that her happy, and the quirky memories (such as breathing a chip from a taco pizza into her nose) that make her who she is. Poppie is an Indianapolis native, and her blog documents her life here in the city. Some of her posts include photo tours of Fountain Square, Broad Ripple, and Massachusetts Avenue, three of the city's six cultural districts. She shares photos of her treks about the city, and I enjoy seeing her perspective of areas I frequent myself (including the Indianapolis Museum of Art). Poppie is also a grad student, so she often alludes to her studies and busy schedule. Despite that, we are looking forward to setting up a coffee/lunch date soon! I'm interested to hear her, a self-described urbanite, talk about Indy, a city I'm slowly exploring and learning about. I've known Nicole about as long as I've known Anna and Violet. And in all that time, I have not seen Nicole radiate as much joy and happiness as she does now. Her son and fiance--who she is marrying later this year--make frequent appearances, and I enjoy getting to know them through her. She prides herself on sharing her honest, day-to-day life--the ups and downs, the tears and the smiles. In Nicole's own words, her blog is about "our family life, loves, passions, hardships, good times, adventures, and dreams. We kind of let it all hang out over here." Sara is a recent discovery. She is yet another Indiana blogger whom I was introduced to through Twitter. I was excited to see that she, too, graduated from Purdue! (She has degrees in both photography and art history. She's been sharing some spring inspiration lately, but she is a photographer, textile artist, and Etsy seller herself. Her shop features lots of embroidered works (my favorite are the vintage photo journals). It is clear that Sara supports the handmade goods, as well as other artists--from Frida to Edward Ruscha. Shakti (pronounced Shock-tea) is a central-Indiana blogger whom I've also had the pleasure to meet in real life. We dined at a Steak 'n Shake and ended up sitting at our booth for hours, chatting about blogs and significant others and the weather and Indiana and everything between. She is friendly, intelligent, and creative. In fact, my favorite creation of hers is a jellyfish made from fragile textiles. I always look forward to each of her posts--whether it is about her Pyrex collection, her latest DIY necklace, or the small adventures she and her husband have in their hometown. Twitter has introduced to me some truly fabulous people, one of them being Sacha. She and I swapped ornaments in December, and we've kept in touch since. (She's a Twitter aficionado, so I would definitely recommend talking to her there.) She's another fellow resident of Indy, and seems to know everything and everyone. Need restaurant suggestions? Go to Sacha. Interested in visiting a new art gallery? Sacha probably knows one. She's thoughtful, money-conscious, and is always up for a laugh. I've greatly enjoyed her company when I've bumped into her around town. Best of all, Sacha is honest, and she is determined to help people, to point them in the right direction. I just started flipping through Twinkle's site, after she signed up for the springtime swap. Her site features posts about food and gardening, and there are, of course, DIYs and recipes. (I'll probably be checking out her gluten-free recipes soon.) Her latest post, though, describes how to create a vertical garden out of a leftover pallet. In addition to being a mother, musician, and social media fanatic, Twinkle is also the digital lifestyle & entertainment producer for LIN Media. She, too, is a transplant to Indianapolis (she's originally from Mississippi). 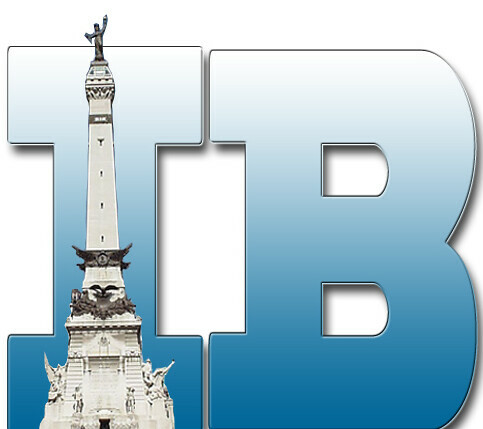 Also, I am now networking with Indianapolis Bloggers! So if you live in Indy--or would just like to connect with other Hoosiers--check out their site. I love discovering the little coincidences: how a blogger I've never met visited Mass Ave. the same day as me, and even took a photo of the same December-blooming rose. Moreover, getting to experience neighborhoods and eateries through others' eyes is always a welcome experience. Have a Happy Easter, and don't forget to sign up for the springtime/May basket swap! Such a killer post dude! I love that we both snapped a photo of that rose but really how could we not. The only living flower after all the leafs had fallen and things began to die. :-) I totally bookmarked this post so I can reference it later on. And thank you so much for mentioning me here. I tried to join Indianapolis Bloggers but I never heard back from them. I do love so much knowing I'm not alone here on the net. Knowing I have an Indy/Indiana family in the blogging community is super comforting. I am so excited to meet up with you! Thank you for including me! I'm so sorry about never getting back to your email. Time passed and it slipped my mind. Love the post though! What a nice surprise! Here I popped on your blog to make up questions to send to you and I find this! :) Thank you! And, yes, any Indiana blogger is more than welcome to get in touch and get highlighted on little Indiana as a Featured Blogger! i'm finding myself looking through all of these! great finds! For home decor and design enthusiasts in and around Indianapolis, check out Case Indy's blog at http://www.caseindy.com/blog/. I stumbled upon this post when searching for fellow Indiana bloggers. Thanks so much for linking to these. I am interested in building connections with other Indiana Bloggers, if you have any other connections, too! I'm in SW Indiana. Thank you so much for compiling this! I love finding other Hoosier bloggers!